Share baby’s first steps with her… 25 years later. VHS-C was a compact version of the popular standard VHS tapes. These two tapes have all of the same features, with VHS-C being about half the size. Since VHS camcorders were bulky and large, VHS-C was introduced in 1982 to reduce camera size. This new smaller version provided an easy way to capture memories without a large, pricey VHS camera. Like VHS tapes, VHS-C tapes weren’t meant to last more than 20 to 30 years. Even if you have a VCR, you also need a special adapter to play the smaller tapes. Neither of these are easy to find these days. But Los Angeles Video Transfer Service has both, and can easily transfer your VHS-C tapes. We understand that cherished events like weddings, graduations, and baby’s first steps have been captured on this friendly little tape. We make sure to preserve each tape in the best quality possible, using professional encoders and industry grade equipment. So go ahead, dig into the closet. Find that box of old memories. 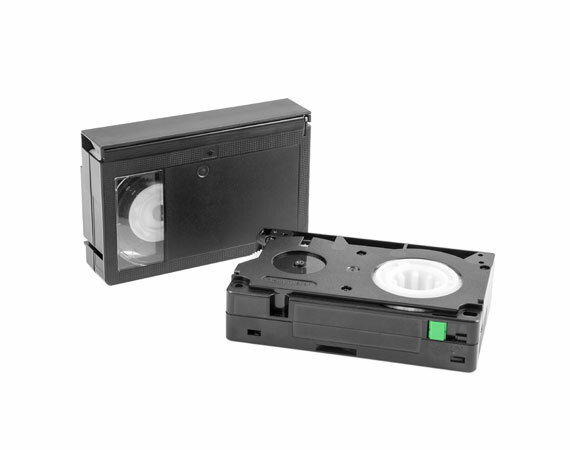 You can have your VHS-C tapes transferred to a custom-labeled DVD or digital file. We will help you select the best format for your needs.